Niels Aka studied economics and politics at Durham University in the UK and was awarded an M.Sc. Economics from Regensburg University in Germany. At Regensburg University he was a teaching and research assistant at the Chair of Econometrics Prof. Tschernig. 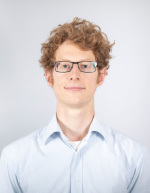 He is a Ph.D. candidate at the DIW Berlin Graduate Center since 2014 and employed at the DIW Berlin as a scientific assistant since December 2015. During autumn of 2015 he developed a forecasting model for employment and unemployment in the Euro Area as part of a research stay at the European Central Bank.